Indy toy company Toynk have let slip their flyer illustrating their selection of limited edition convention merch. Click through for the all the specifics. Help celebrate the anniversary that was 65,000,025 years in the making! Probably the best example of we don't know what the world has come to. Whether you're an Amazon Princess or not this needs to be in your armoury! 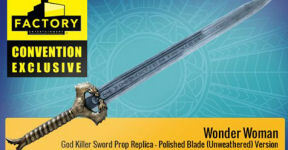 Click through for details on how to get this God Killer replica. It's action movie season which means that the time to spruce up your wardrobe is now. 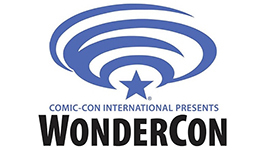 What Did You Miss At WonderCon? The 2018 WonderCon brought pop culture enthusiasts to the Anaheim Convention Center this past weekend. Click through for our coverage of the event!